When will be Blue Demon next episode air date? Is Blue Demon renewed or cancelled? Where to countdown Blue Demon air dates? Is Blue Demon worth watching? 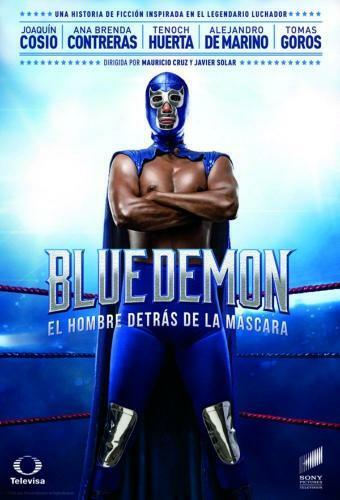 Blue Demon is a teleseries based on the life of Alejandro Muñoz Moreno, Mexico's famous blue masked wrestler who was considered one of the greatest of his time. The 65-episode, hourlong drama will air across Latin America on multiple Televisa platforms. SPT and Televisa will jointly distribute the series throughout the rest of the world. Blue Demon is inspired by the real-life story of Alejandro Muñoz Moreno, who overcame enormous odds to become the World Wrestling Champion under the name Blue Demon. The series begins in Nuevo Leon, where a young Alejandro, the son of farmers and the fifth of 12 children, dreams of a bigger life than his small hometown. Years later, after setting off to live with an uncle and work on the railroad in Monterrey, a strong and strapping young man has a chance meeting with a famous wrestler, Ignacio Vera, who piques his interest in the colorful national sport of freestyle wrestling, Lucha Libre. Alejandro sets out on an incredible journey, conquering his fears and confronting personal demons, to ultimately become one of the most revered masked wrestlers of all time. Blue Demon next episode air date provides TVMaze for you. EpisoDate.com is your TV show guide to Countdown Blue Demon Episode Air Dates and to stay in touch with Blue Demon next episode Air Date and your others favorite TV Shows. Add the shows you like to a "Watchlist" and let the site take it from there.